You’ve installed an energy management system, added sub-meters throughout your site and are happily producing all the reports necessary for your Energy Savings Opportunity Scheme or Energy Auditing Scheme submissions. But what other information can you reap from all that energy use data? 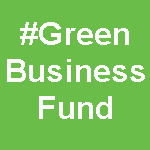 How can it be used to reduce your energy use, save money and directly increase profits? What follows is a selection of the questions that are looked into by existing users of our AtlasEVO systems. 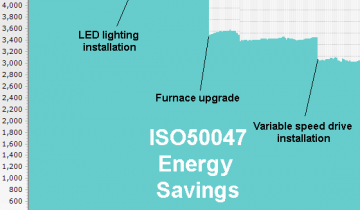 Some may seem obvious and have been in mind prior to the installation of your energy management or smart metering system or during the ESOS process but others may have slipped by. Manufacturing examples are given but most questions are equally applicable to the service sector. What is our base load? How much energy is used on site with all production lines closed and how much is it costing? This base load directly impacts company profits. No profit can be made until base load electricity, gas, water etc have been paid for. What is using this energy and should it be using as much as it is? Checking water usage patterns during non-production times can also highlight hidden leaks. Is equipment being left on? The base load analysis mentioned above can highlight poor practices. Lights left on in unpopulated rooms, compressors left running over weekends, machinery left in standby/ready mode during extended shutdown periods. All of these eat into company profits and cost nothing to fix. Are we being billed correctly? Incorrect billing from supply companies is not limited to domestic accounts. 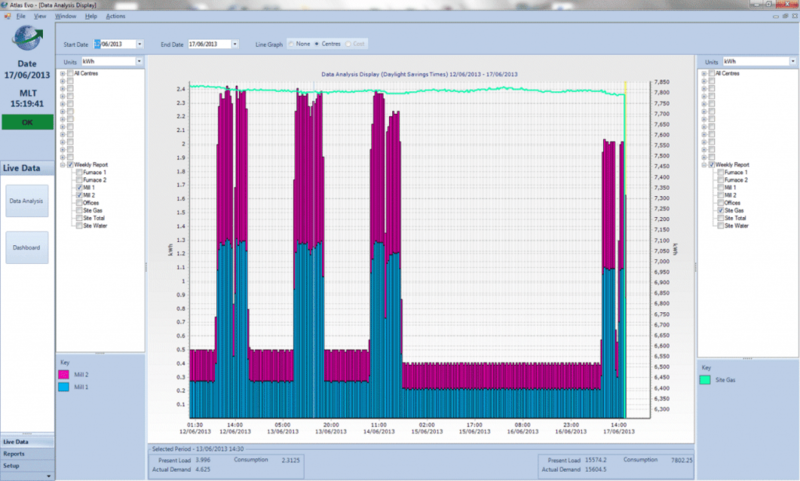 Utilising half hourly data from incoming supply meters enables you to check monthly bills and query any errors using your energy management system reports as evidence. Investigations can also be made to see if the billed supply capacity could be reduced without impacting production. 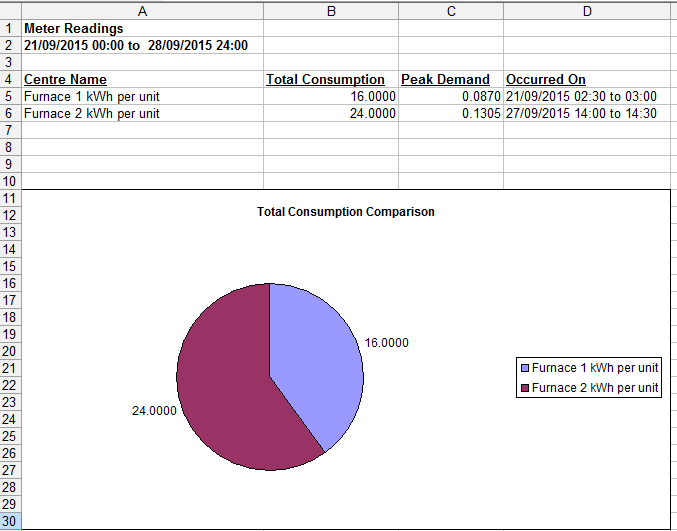 What is our energy use & cost per product? 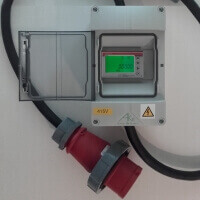 Adding sub-metering to production lines or even individual production machinery enables accurate energy use per product and hence energy cost per product figures to be calculated. 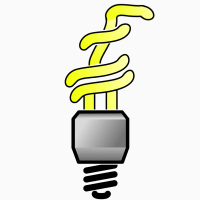 This in turn can be used to ensure that products are priced correctly, including all production energy costs. Can energy intensive production be moved to times of lower energy cost? Once the energy intensive production processes have been identified, investigations to be made to see if these activities can be done at times when energy prices are lower (overnight or at weekends for example). Are some areas/production lines more efficient then others? There may be genuine reasons why similar areas or production lines consume different amounts of energy. Older, less efficient equipment for example. Accurate energy usage data can be used however to highlight other reasons including inefficient human behavior or to state the case for the installation of new equipment. Why is one area or production line more or less efficient than the other? 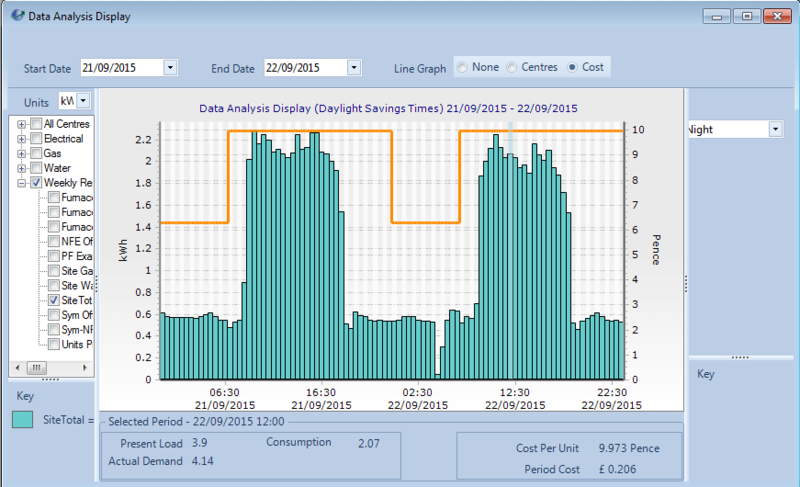 Viewing energy usage profiles over time can also show if areas or production lines are becoming less efficient. This in turn may provide early warning of worn equipment in need of service or replacement.